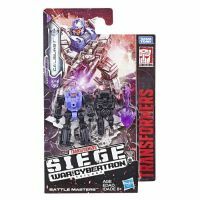 Thanks to InDemand Toys we have some new in-package stock images of the upcoming War For Cybertron: Siege Leader Optimus Prime and Battlemasters Caliburst and Smashdown. 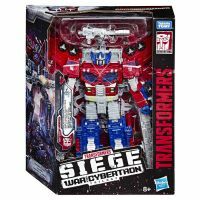 Siege Leader Class Optimus Prime comes in his “Cybertron Super Mode” filling most of the box (Eropean version). 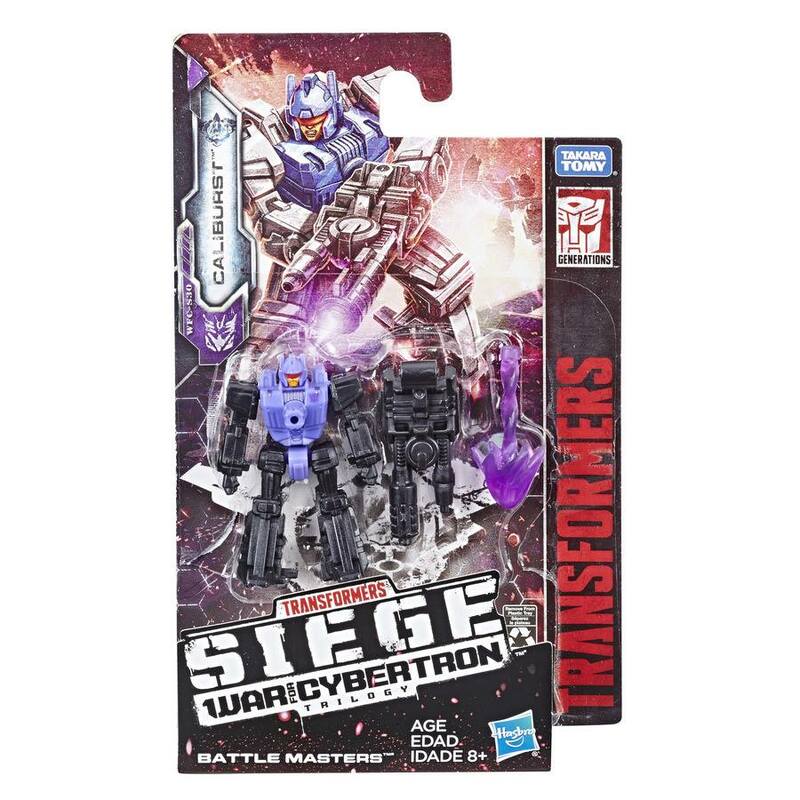 The new Battlemasters: Caliburst (a straight redeco of Blowpipe with a new fire blast effect) and Smashdown (new mold, Minotaur to battle hammer) are also shown. 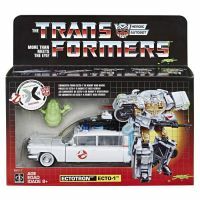 As a great extra bonus, we also have the packaging of the upcoming Transformers and Ghostbusters collaboration: Ectotron. Check all the images after the jump and then sound off on the 2005 Boards! You are aware these were already posted on the first page without those fugly watermarks? Selects or a Box Set would be my guess. That or some kind of store exclusive holiday bonus black friday item. Those three areas tend to be the easiest to fit things into that didn't fit anywhere else. Though box sets retailers don't really like because of too high of cost and amount of shelf space it takes up. But during the right kind of hype cycle, it's easy to push and move product during. So it's only a matter of timing. thanks for the information I appreciate it. I hope it all works out. 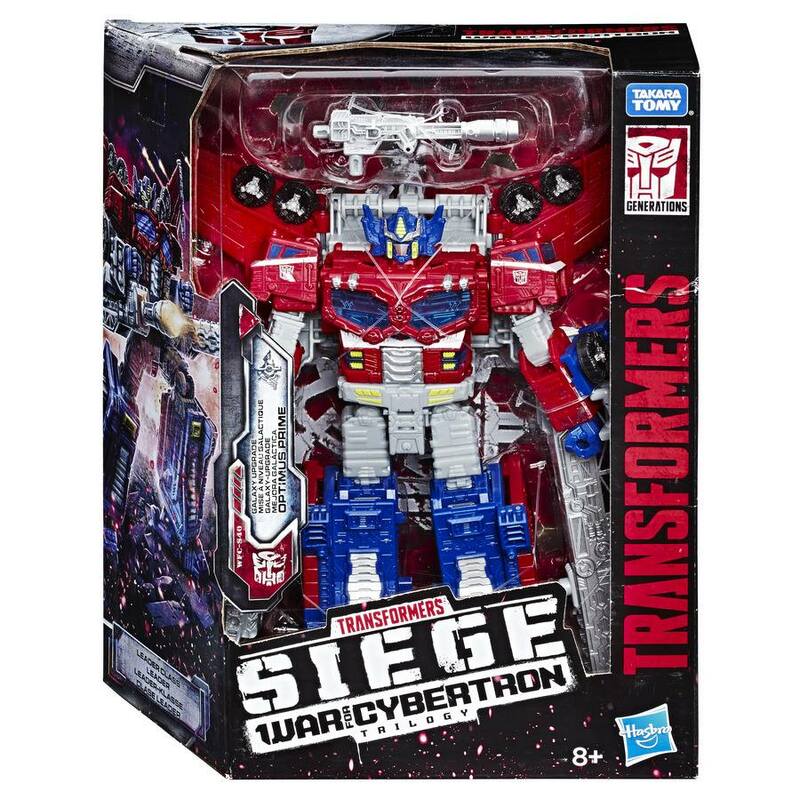 I hope it does come in some form eventually Armada was my introduction to Transformers I think the best way would be through selects in my opinion. That's something only Hasbro could answer. But will definitely try to find a way to fit it somewhere eventually! If it's Takara exclusive for now, all that means is it can't be done in a brand unified line. 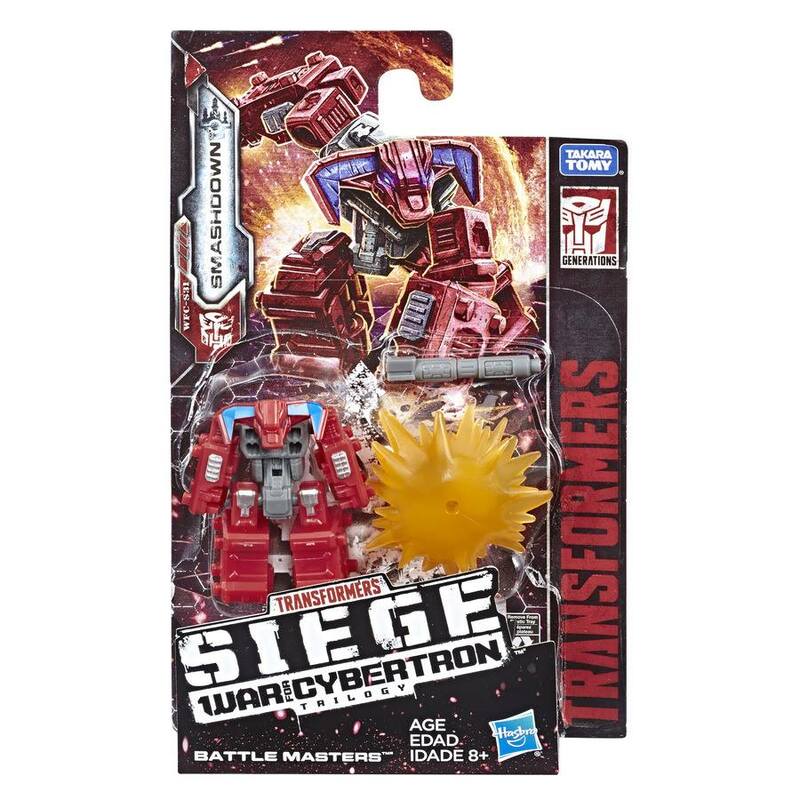 So would have to be a store exclusive or net exclusive in the other hasbro markets. Like Selects, or through Amazon, or Pulse, or a box set. With Takara having a lead time of approximately 6 months to a year+ to push their version first. Essentially like how "timed exclusivity" works. how likely is it that Armada Prime comes to the states? Sideways needs both. It's his whole character individualized nature that he has 3 heads. It's what makes him what he is, so in that vein, he'd need his bike rider too. His partner robo rider minicon pair are part of that unique nature that makes him who he is. Don't really bother hiding that anymore. For about 2 decades or so now. Not the only ones I do work with, but they tend to be one of the ones I favor the most since I grew up on Transformers and their other 80s material. I would bet that the trailer is a retool of Rodimu's trailer. I remember seeing a mockup of a potential Armada prime that was a retool of Rodimus on here at least I think it was on here. I don't get hands on prototype time, and only get the reveals as you guys do too currently. But get other perks to the process that I don't get to see how they turned out in final until then. But I concur it might be Rodimus. His trailer is pretty close to the style needed and uses that combo method, and Armada Prime's legs would remove the need for the Rodimus arms. So that does seem the most likely. does he I wonder? I would bet that the trailer is a retool of Rodimu's trailer. I remember seeing a mockup of a potential Armada prime that was a retool of Rodimus on here at least I think it was on here. The normal Prime part looks fantastic, and I'm guessing that the pants part will be pretty close to the POTP pants in style, but without the torso part of that. The super mode arms are built into the legs already with the fists storing in the back of the heel like the original. The trailer could potentially be a retool of the Rodimus trailer too. Not really sure which it'll be, or if all new. Only that he combines like the original. And based on the prototype's measurements, the proportions give a rough idea of size of supermode by leg length to how they become arms and the fist size in the back of the heel. As for Armada Sideways. Keep your eyes open and be patient. Trying for something or two! He's a hard one though because his heads aren't the standard Titan Master types(because of how the original version's combined to form the rider). Though depending on how he's done, isn't too far off from other character potentials either. So trying to see what I can nudge there. Also, Galaxy Upgrade is sort of a lame title for the leader Prime, but meh, passing on it anyways, more than happy with the voyager. I thought Slimer was supposed to be Transparent? A. Even though the basic bot mode seems to be Armada inspired I really hope someone makes a more Cybertron head. B. 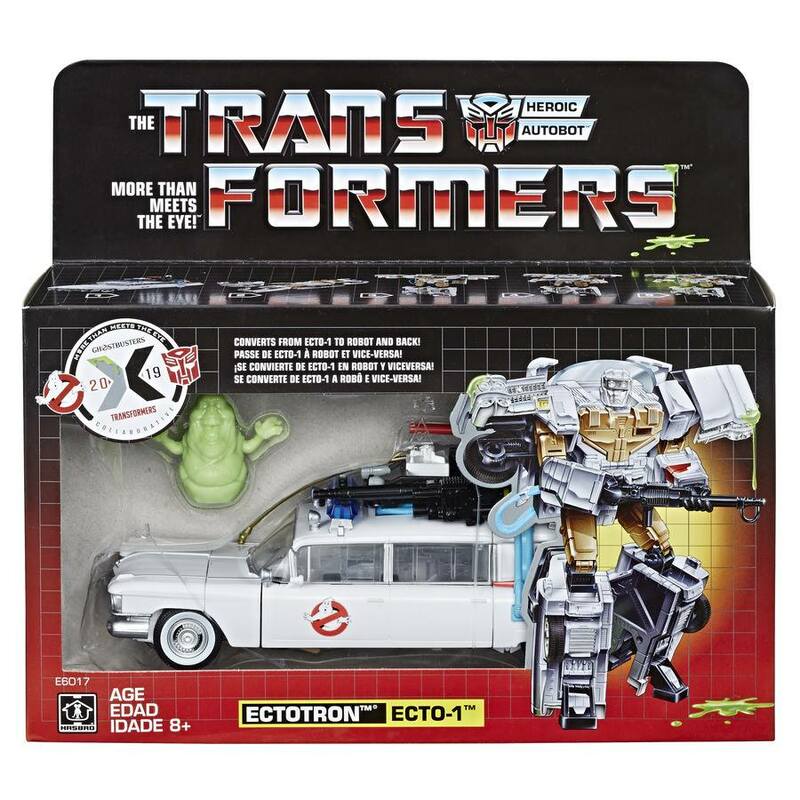 That Slimer looks the part. Kinda like those I want to say Muscle Men. Solid color Slimer is disappointing but he was probably going to be chucked into an accessory baggie anyway. Slimer looks like he could be glow-in-the-dark. Can’t wait to get that Optimus! In addition to his weapons and armor he will get the Voyager Prime’s axe and gun. It's roughly about POTP leader class height, so however that compares to Commander class. That sounds about like where it should be though based on volume mass and box size. So anyone know if the rumors of armada optimus commander class are true? at this present time no but I think he will be commander class.